Girl is NOT a 4 Letter Word: Nor Cal Shredder Zoe Safanda In New Ad Campaign. Nor Cal Shredder Zoe Safanda In New Ad Campaign. Check out mini shredder Zoe Safanda - she's part of Valley Health Plan's new ad campaign. This one landed her on the side of public transit up in Northern California. Zoe's looking good with a BS air above coping. 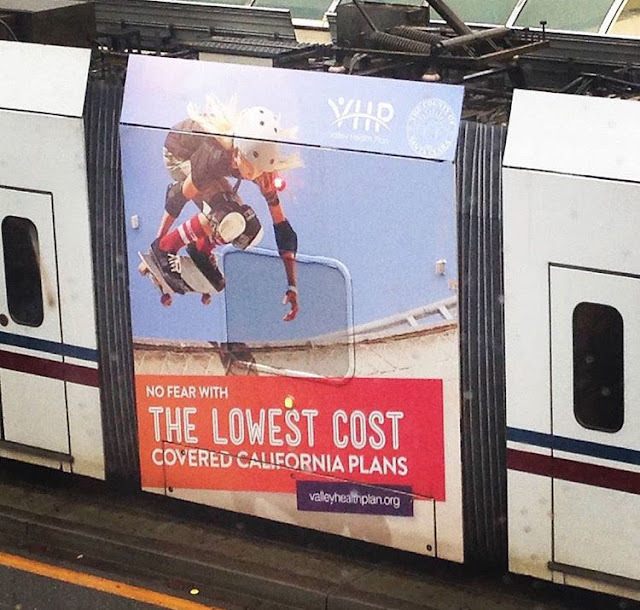 Love that they used a female skateboarder in their "No Fear" ad campaign!